Every news cycle seems to bring out new allegations of misconduct by pastors in the pulpit bringing shame and disrespect to the Church. 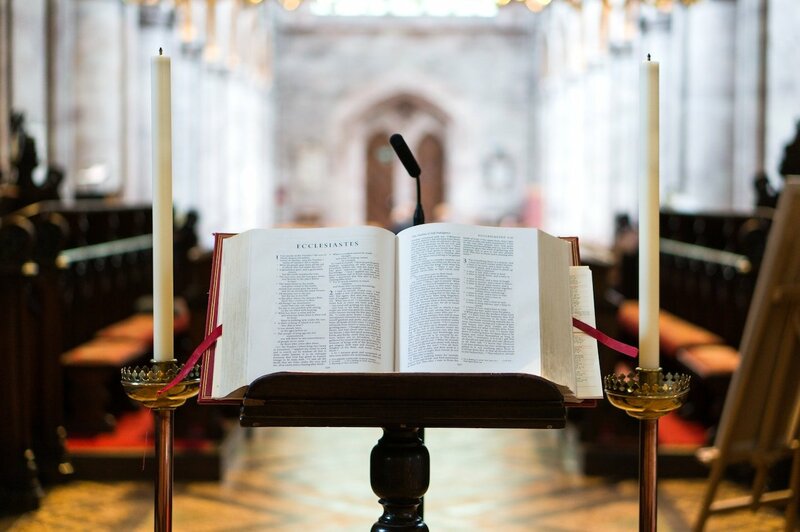 A recent study conducted by Gallop shows that the public has one of the lowest views of the clergy’s ethical and moral standards in over a generation. The constant scandals and corruption not only brings shame, it destroys the credibility of the local church. Much of this can be attributed to the sexual, and financial scandals that have plagued evangelicalism for the past 40 years. The range of mortal sins has varied, but the common element that many fallen leaders have in common is strong authoritarian tendencies that began early in their ministry. Authoritarian leadership is often times admired and celebrated in much of the business world. However, Jesus warns his disciples not to lord their authority over others Luke 22:25. In order to combat this attack on the credibility of the Church it is more important than ever to be on guard against authoritarian leadership practices that have decimated the local body. There is no magic bullet; however there are at least four ways that leaders can promote a healthy church culture that does not mirror the world. One of the defining characteristics of an authoritarian leader is silencing of critics and discouraging critical thought. As teachers and leaders it should be our goal to encourage others to gain a deeper understanding of scripture and the teachings of Christ. Discouraging critical thought is unhealthy and border line cultish. Not only should we encourage questions from others, we should actively create an atmosphere in our place of worship that encourages constructive critique of our teachings in a respectable manner. The scripture says in Acts 17:11 that the Bereans not only received the word spoken to them by the Apostles, but they examined them closely to see if the teaching was true. Constantly feeling like questions is a threat to your ministry should raise red flags. We must remain in a spirit of humility, teachable, regardless of how mature or how long we have been walking with Christ. In 2 Corinthians 4:2 the Apostle Paul reminds the church in Corinth that “we refuse to practice cunning or to tamper with God’s word”. In other words leaders in the church have a responsibility to denounce all dishonesty and misconduct that might bring shame to the Body of Christ. Creating a culture of transparency means that there is nothing hidden from the congregation. We must be honest and ask ourselves whether we are merely trying to position ourselves for further financial or personal gain simply to advance our own agenda. Furthermore we must be honest as to whether our conduct with others is done with a pure and sincere motive, or are we simply using them for our own selfish gain. The Apostle Paul reminds us in 2 Corinthians 6:11 that “we have spoken freely… with wide open hearts”. It is possible to give the appearance of natural “success” that will garnish the praise of people, however we will hinder a true supernatural move of the Holy Spirit that changes the hearts of humanity if we continue to operate in deceitful ways merely for the appearance of success. Any perceived success will eventually be exposed before the bema seat of Christ for the quality of its work. In recent years many churches have been destroyed by mismanagement of church funds and covering up of sexual abuse within the congregation. One of the ways leaders can protect themselves from mischievous claims is through transparency of financial resources. Furthermore all claims of abuse must be dealt with a manner that protects victims from further harm. By creating an atmosphere of trust and accountability we can begin to push back against the tide of distrust that exists in our society. Sadly, some leaders feel that their position gives them the right to treat staff and volunteers as servants, instead of co-laborers in Christ. We dishonor the body and our ministry when we treat fellow workers as lower than us. Certain segments of the business world celebrate cruel behavior as a motivation tool for productive work. This is not a fruit of the spirit. The body of Christ is no place for bullying, intimidation, rudeness, and retribution. Leaders must always set an example to others by walking in the spirit of humility and loving service. The Body of Christ is not our personal kingdom to order others around as slaves. The Prophet Ezekiel warns shepherds against brutal and harsh treatment. Furthermore our Chief Shepherd Jesus Christ reminds us to not to Lord our authority over others. Ultimately we will have to give an account for the way we’ve treated those under our authority. Selecting biblically qualified elders and leaders is the best way to hedge against church authoritarianism. A recent study has found that narcissistic personality disorder is much higher among clergy versus the general population. It is tempting to uplift gifted productive leaders and certainly there are times and seasons where this is most certainly appropriate. However the most important qualification that church leaders must possess relates to fitness of character. The qualifications of an elder or (pastor) laid out in 1 Timothy 3:1-7 is clear in that elders should not be recent converts, and should have a strong standing not only in the church, but outside the church in order to avoid falling into disgrace. In recent years many well known public leaders have fallen from the pulpit. There is no doubt that God can restore any person. We should be careful to say that a leader can never be restored to ministry. After all, Jesus is in the restoration business. However once a leader persists in disqualifying sin it is not wise nor is it biblical to restore them to ministry hastily. The medical and legal profession have boards that oversee practitioners within their respective professions. It is not unusual for Doctors and Lawyers who have breached public trust to become disqualified from ever practicing again. As a society we have held the standard high for doctors, lawyers, and other professionals who have breached their duties. The standard for those in ministry must be held even higher because of the eternal impact on the souls of others. Finally we must always remember that ultimately we give an account to God for how well we have stewarded the people and resources put in our authority. Jesus Christ is the chief shepherd, and ultimately our final reward will come from him.